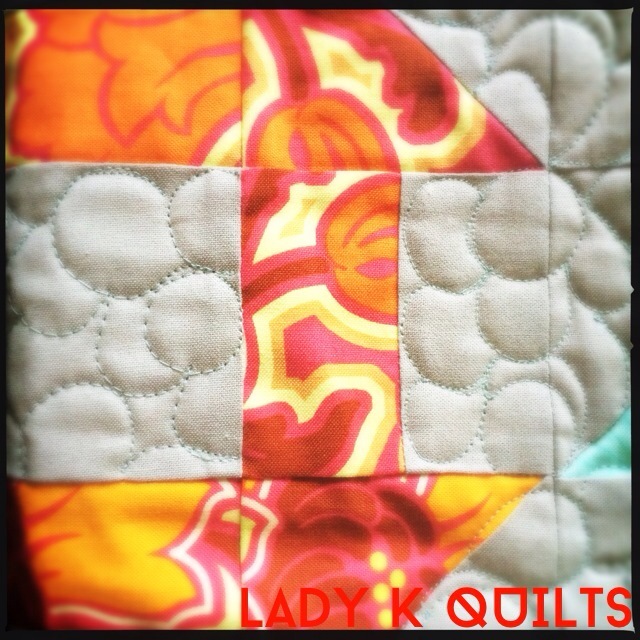 The last couple of weeks have found me busy plotting, designing , sewing and quilting. 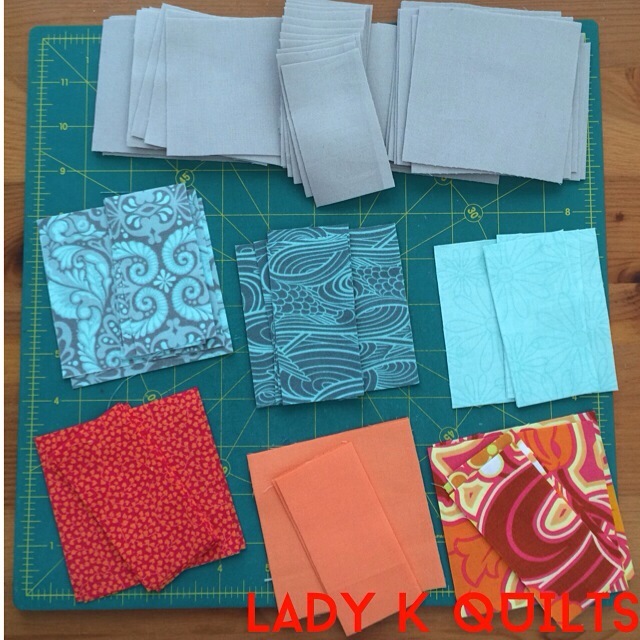 I participate in an online birthday swap group and the August birthday in my group listed she liked turquoise, orange and grey so I pulled some fun fabrics from my healthy fabric stash. 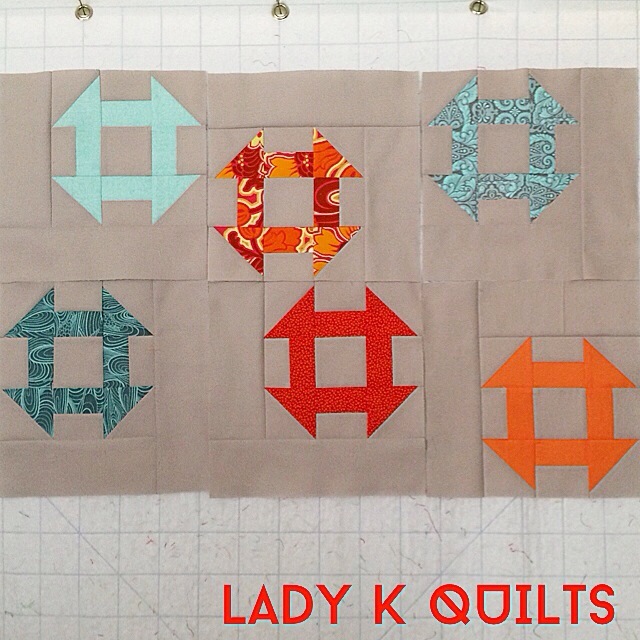 I picked soft yet vibrant turquoise and orange/peach fabrics and auditioned them against different grey fabrics. I picked a light grey Bella Solid by Moda Fabrics because I liked the way the colors popped against it. After looking through my quilt book library, I narrowed down the pattern choices to CHURNED from Modern One Block Quilts by Natalia Bonner and Kathleen Whiting because I just love a Churn Dash Block. I didn’t make the quilt size in the pattern, but instead made six blocks and picked the layout of six blocks together from the pattern that I liked best. The pattern came together rather quickly and very easily. This is the first pattern I have made out of this book but I love the book. 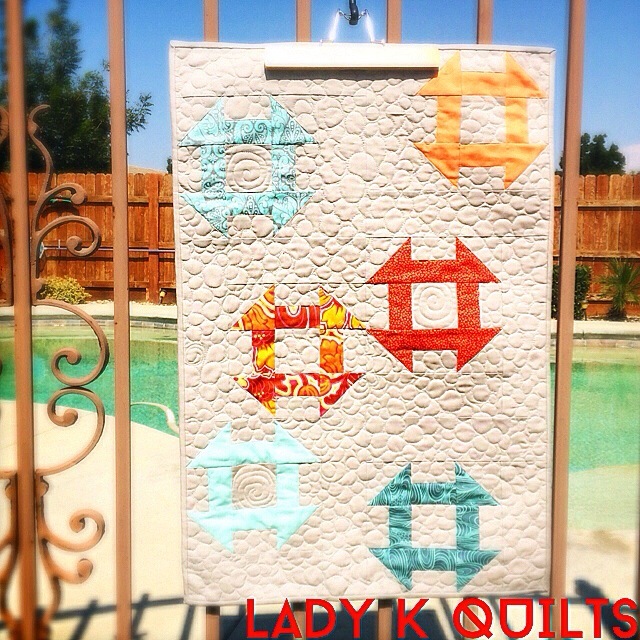 When it came to quilting this project, I knew I needed to fill in all that negative space but my free motion quilting repertoire isn’t too extensive and I didn’t necessarily want to do straight lined quilting. I’ve always loved the look of pebbling but had only done it once before. After a practice run on some scraps I found the rhythm I liked and size that would work for this piece. I ended up doing some swirls along side the pebbles throughout the quilt and I think it turned out pretty cool. Filing in the centers of the churn dashes was fun and after putting the binding on it, I was done and extremely pleased with how this turned out. Now I just have to get some little presents to go along with it and get it in the mail to the August birthday girl.